Well here it is Sunday evening for me and as I write this week’s KBJ tip, I thought I would see if any of you begin to ponder how the week is going to go the night before it starts? Now I think this could be a positive or negative process depending on how excited you are about your working arrangement. From my observation however, I fear I would have to conclude that most people dread the start of the week by stressing out the night before. I hope that isn’t you but if it is I thought I would send you an encouragement for this weekly tip in hopes you were looking for an answer how to get past the negative and look forward to the work week not matter what it brings. Let me start with a little Bible quiz for you. The answers will seem pretty strange or even odd how they work out even if you’re not a religious person. So here we go! Does this verse say something significant about God’s perfect will for our lives? It also may be a good hint on how to start off your Monday work week! Psalms 118:8 “It is better to take refuge in Jehovah than to trust in man”. So as you start out your work week and wonder what is in store for you, instead of worrying about man’s plans for you, find your Divine plan in the center of the Word and rejoice! Now isn’t that odd how these numbers worked out (or was God in the center of it to begin with)? Go out and make it a GREAT week! I started the day this morning with a word of encouragement from by (boss) friend. This has been a blessing to have a Godly man for a boss. I decided to return the blessing and I sent words of encouragement and blessing to two more friends. What if we all did this! Encourage a friend today and encourage them to pass it on. God uses all things for good! I received a call from a client. After 16 years in business, he has to shut his doors. I want to commend this man for calling and dealing with the situation. He has a wonderful attitude even though this will probably be the hardest thing he has ever dealt with. He told me that he knows God has a plan and if he has to start over, that is ok.
His called blessed me because I have been where he is. 2 years ago we went through the same process. God has taken us through the storm and and we are not out yet, but God has had control the whole time. I pray that during this trial that he can keep looking up and know that God is holding his hand and will give him peace. God uses all things Good! During this Christmas Holiday, don’t forget the reason we celebrate. Won’t you join with me and have a JESUS cake Christmas day to celebrate JESUS birhday! 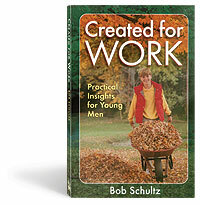 I have been reading a book called, “Created for Work” by Bob Schultz. I just read the chapter about Confidence. He made a very good point I would like to share. Have you lost your confidence? Are you having fearful thoughts? This topic can apply in many areas of our life. Spiritually, Family, Work, Church,…. Open up to God! Pray! Talk to God and tell him how you are feeling and what is going on. Ask him to restore your confidence in whatever the matter. I heard a profound statement yesterday. Marlene Klepees was a paraplegic who was healed and now shares her testimony. She said that even when she could not talk so that anyone could understand her, God never says HUH! No matter what your circumstance or what you are dealing with, God will listen. Be blessed today, and have confidence. 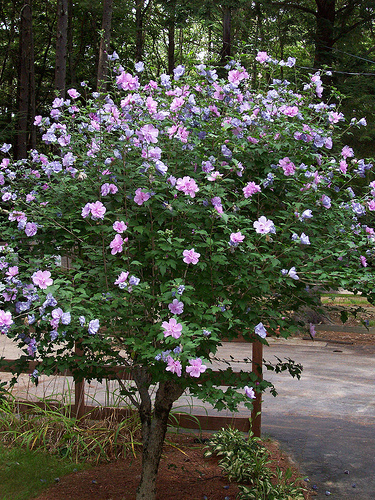 As a beautiful flower, it will wither if it lacks water, light, and nutrients. We go through seasons of drought, darkness, and lacking nutrients. During these times we need to be encouraged and that God will supply all our needs and that it is just a season. Remember when you are in the marketplace that you don’t have to have some program or adgenda, you just have to be available. Today I had the opportunity to connect with a person whom I have not heard from in months. She has been through a rough time, but I just learned of it today. Listening to her story and being able to connect with her after all this time was a confirmation to me that Marketplace Ministry is about relationships. We have been working on our websites, and Tele-Seminars, and all the stuff, but not building relationships. Being a Marketplace minister means that you are a willing vessel, serving, and letting God use you. Praise God that I was able to be used and I was able to offer a word of encouragement and just in Gods timing. Are you going to be willing to let God use you and be someones water, light, or nutrients today?